A stylish 5 star hotel, located in Taksim, Grand Hyatt Istanbul is at the heart of both business and entertainment district. Hotel is 20 km from airport and a block away from underground metro station. 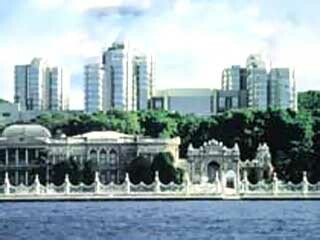 Topkapı Palace, Hagia Sophia, Galata Tower, Dolmabahce Palace are the places that the guests can visit in terms of sightseeing. 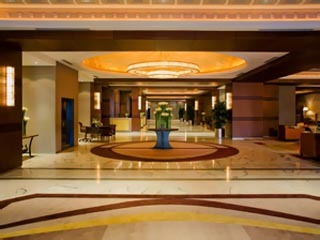 Renovated in 2003, Grand Hyatt Istanbul has 360 Rooms including 102 King, 159 Deluxe King, 71 Regency Club rooms with special amenities, 28 Suites (12 with kitchenette), 3 Rooms for disabled guests and 7 fully furnished luxury apartments. Istanbul is a treasure chest with infinite layers of cultural richness and beauty. 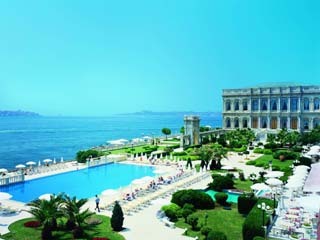 Grand Hyatt Istanbul inherits the spirit of this magical city with an elegance and refinement unique to the Hyatt touch. The interior of the Hotel is an artwork in itself, with countless art pieces in every corner that pay tribute to a multi-dimensional culture. It is situated in the heart of the City's business district and just 5 minutes walk from the Bosphorus and Taksim Square's Shopping and Entertainment Areas. The " Ataturk " International Airport is 30 minutes away, the " Akmerkez " ( Europe's award-winning Shopping Mall ) 20 minutes away and the historical sites in the Old City are 20 minutes by car. Also is located in the Conference Valley, in walking distance to the Lütfi Kirdar Congress and Convention Centre. King Room King Rooms located in the 3rd and 4th floors of the building with stunning views of the city, pool and gardens welcome you to a 38- to 42-sq.-metre room, the largest in the city, offering sensual, modern and elegant decor. Decorated in light colours with attractive teak fittings, the rooms offer king-size bed with the softest pillows and plush feather duvet. Deluxe amenities include sitting area, generous work area with high-speed Internet access, and spacious marble bath with tub and glass-enclosed rain shower. Twin Room Twin Rooms located in the 3rd and 4th floors of the building with stunning views of the city, pool and gardens welcome you to a 38- to 42-sq.-metre room, the largest in the city, offering sensual, modern and elegant decor. Decorated in light colours with attractive teak fittings, the rooms offer twin-bed with the softest pillows and plush feather duvet. Deluxe amenities include sitting area, generous work area with high-speed Internet access, and spacious marble bath with tub and glass-enclosed rain shower. Deluxe Twin Rooms located in the 5th, 6th and 7th floors of the building with the stunning city, garden and or Bosphorus views welcome you to a 38- to 42-sq.-metre room, the largest in the city, offering sensual, modern and elegant decor. Decorated in light colours with attractive teak fittings, the rooms offer twin-bed with the softest pillows and plush feather duvet. Deluxe amenities include sitting area, generous work area with high-speed Internet access, and spacious marble bath with tub and glass-enclosed rain shower. Each room has a fold-out Asian screen window that allows room and bathroom to meld into one space. Club Twin Located on the 8th and 9th floors of the building with stunning views of the city, pool or Bosphorus, the Club King rooms offer VIP accommodation. In this “hotel within a hotel”, guests can use the Regency Club Lounge as their living room. 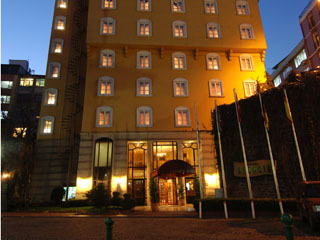 Elegant and sunny, it has its own library and bar and overlooks the hotel’s park and sports area. The Concierge is on duty throughout the day, and there is a private lift for the lounge. The rooms offer twin-bed with the softest pillows and plush feather duvet, work area with high-speed Internet access, and includes access to a private lounge serving Continental breakfast, evening cocktails and hors d’oeuvres. Regency Suite King Stunning views of the city, pool or Bosphorus welcome you to an 80-sq.-metre suite on a private concierge floor offering living/dining areas, bedroom with king-size bed and L-shaped workspace with high-speed Internet access. Amenities include marble bath with tub and rain shower, kitchenette or guest bath, and access to a lounge serving Continental breakfast, evening cocktails and hors d'oeuvres. Regency Executive Suite Spectacular views of the city and pool or the Bosphorus welcome you to a 120-sq.-metre suite on a private concierge floor offering living room, formal dining area, lounge, office with high-speed Internet access, kitchenette, marble bath with tub and rain shower, and plush king bedroom. Includes access to a private lounge serving Continental breakfast, evening cocktails and hors d'oeuvres. Presidential Suite Entertain lavishly in a dramatic 240-sq.-metre suite featuring stylish decor and sweeping Bosphorus views. Amenities include living area with pivoting multimedia centre and wall-mounted plasma TV, dining room, kitchen, king bedroom with polished wood sleigh bed, office featuring high-speed Internet, and marble bath with sauna, jetted spa tub, and power shower. Includes Regency Club access. 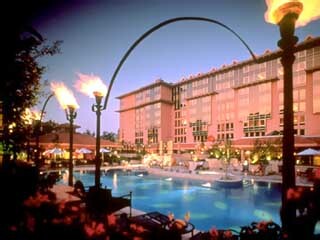 Agora Agora, which is famous for its open buffets, offers tastes from Turkish and International cuisine. Beside the open buffet, a la carte option is available. Agora moves out to its terrace in the summer days and can serve up to 300 guests. Spazio Spazio is a classical, fine dining Italian restaurant of Grand Hyatt Istanbul located on the mezzanine floor. It has been open since 1993 and won various awards since then. The gourmets selected it as the “Best Italian Restaurant in Istanbul” and gecce.com chose Spazio as the “Best Hotel Restaurant in Turkey”. Also it is awarded by Hurriyet newspaper as “The Second Best Pizza in Town” and its chef is selected as the “2nd Best Italian Chef in the World”. Spazio restaurant has the best and widest range of wines from all around the world. It is also famous for its show kitchen with a wood oven for breads and pizzas. The menu offers a wide range of delicacies from home made pasta, pizzas, risottos to seafood dishes and special Italian desserts. In addition to its 110 seating capacity, Spazio has also a private dining room with 16 people capacity. Mezzanine Mezzanine is a chic lounge café and bar of Grand Hyatt Istanbul that fuses indoor and outdoor elements. A massive glass wall affords a magnificent view of the hotel pool and gardens. During the day, the space is bathed in warm sunlight and at dusk, a smoky blue sunset can be savoured with a classic martini. Adding to the relaxed, indoor-outdoor feel, water flows from an outdoor waterfall through a niche in the glass wall, drowning out the sounds of conversations at tables nearby – a centuries’ old technique used in the Ottoman palaces. At the opposite side of the lounge, another glass wall was built to create a wine & coffee bar that faces the historical Taşkışla Building, one of the oldest universities in Istanbul. The glass panels, shelves and bottles of spirits from around the globe, capture the streaming light, fashioning a delightfully illuminated bar area. Mezzanine is the place to enjoy a light meal, a perfect cocktail, 30 kind of different tea and coffees and warm, silky soufflés made a la minute. Also, during the day, Hy-Tea buffet, which presents wide selection of homemade cakes, desserts, bakeries and other goodies, is prepared in Mezzanine between 15.00 – 18.00 hours. Along with those irresistible and festive tastes, in Mezzanine you can enjoy freshly brewed aromatic coffees and wide selection of teas. Grand Hyatt Istanbul’s cozy nightclub Gossip features a sophisticated high tech sound and light system. Its stage is lighted from the bottom and it has a fiber-optic twinkling ceiling that this modern look and atmosphere make Gossip one of the hottest gathering points in Istanbul. This bar and nightclub is an ideal venue for either lounging on couches in front of the fireplace, relaxing at a bar table or conversing around the bar. Furthermore it has Latin nights every Thursday and Saturday nights with live performance. Gossip, which moves out to its heavenly green garden during summer months, also has a great atmosphere in its outside venue, among glamorous greenness of the garden, huge cushions, torch and candles that is ideal to escape the hustle of the city. The Library Bar This exclusive cigar and jazz bar of Grand Hyatt Istanbul, The Library Bar, has a relaxing atmosphere reflecting the style of English Gentlemen’s Club. Chic in style and cozy in decoration, The Library is a perfect venue to have some fine cognacs before or after dinner. Offering not only fine cognac and cigars, but also a warm atmosphere, The Library, creates lasting memories.